Srila Gaura Kishor Das Babaji Maharaj was the embodiment of worldly detachment and devotional attachment. He was the babaji disciple of Srila Bhagavat Das Babaji Maharaj, who was the babaji disciple of Srila Jagannath Das Babaji Maharaj. An intimate associate of Srila Bhakti Vinod Thakur, Srila Gaura Kishor Das uncompromisingly refuted pseudo and professional religiosity. Constantly absorbed in the devotional mood of divine separation, his external actions could not be comprehended by the general public. 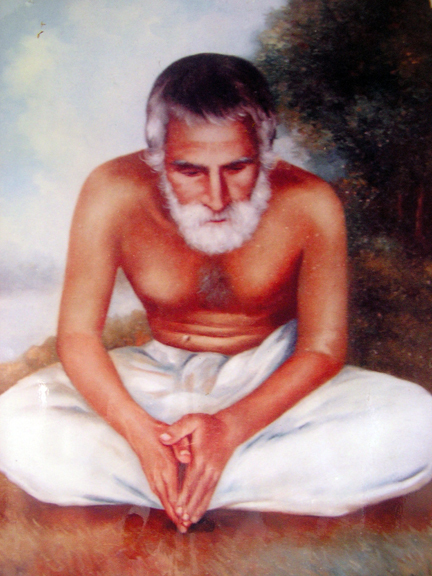 On the direction of Srila Bhakti Vinod Thakur, Srila Bhakti Siddhanta Saraswati Thakur received holy initiation (diksha) from Srila Gaura Kishor Das Babaji Maharaj. Although by nature Srila Gaura Kishor was seen to be prevalently dedicated to bhajan in solitude, his beloved disciple Srila Bhakti Siddhanta Saraswati felt that the mercy of his gurudev overflowed within his heart, inspiring Srila Bhakti Siddhanta Saraswati to dedicate himself to a life of preaching the message of Sri Chaitanya Mahaprabhu.